It is August 2010, the month when the last United States combat troops are scheduled to leave Iraq. It is therefore time to take stock of the situation in Iraq, which has changed places with Afghanistan as the forgotten war. This is all the more important since 50,000 troops will remain in Iraq, and while they may not be considered combat troops, a great deal of combat power remains embedded with them. So we are far from the end of the war in Iraq. The question is whether the departure of the last combat units is a significant milestone and, if it is, what it signifies. 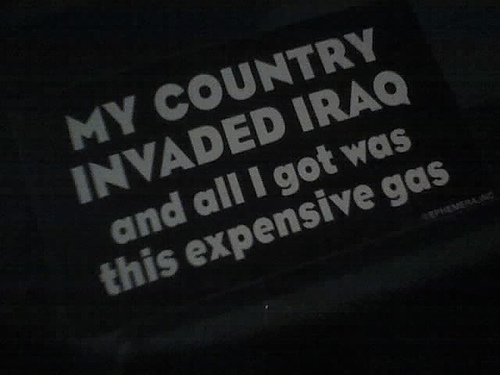 The United States invaded Iraq in 2003 with three goals. The first was the destruction of the Iraqi army, the second was the destruction of the Ba’athist regime and the third was the replacement of that regime with a stable, pro-American government in Baghdad. The first two goals were achieved within weeks. Seven years later, however, Iraq does not yet have a stable government, let alone a pro-American government. The lack of that government is what puts the current strategy in jeopardy. The fundamental flaw of the invasion of Iraq was not in its execution but in the political expectations that were put in place. As the Americans knew, the Shi’ite community was anti-Baathist but heavily influenced by Iranian intelligence. The decision to destroy the Ba’athists put the Sunnis, who were the backbone of Saddam’s regime, in a desperate position. Facing a hostile American army and an equally hostile Shi’ite community backed by Iran, the Sunnis faced disaster. Taking support from where they could get it – from the foreign jihadists that were entering Iraq – they launched an insurgency against both the Americans and the Shia. The Sunnis simply had nothing to lose. In their view, they faced permanent subjugation at best and annihilation at worst. The United States had the option of creating a Shi’ite-based government but realized that this government would ultimately be under Iranian control. The political miscalculation placed the United States simultaneously into a war with the Sunnis and a near-war situation with many of the Shia, while the Shia and Sunnis waged a civil war among themselves and the Sunnis occasionally fought the Kurds as well. From late 2003 until 2007, the United States was not so much in a state of war in Iraq as it was in a state of chaos. The new strategy of General David Petraeus emerged from the realization that the United States could not pacify Iraq and be at war with everyone. After a 2006 defeat in the midterm elections, it was expected that US President George W Bush would order the withdrawal of forces from Iraq. Instead, he announced the surge. The surge was really not much of a surge, but it created psychological surprise – not only were the Americans not leaving, but more were on the way. Anyone who was calculating a position based on the assumption of a US withdrawal had to recalculate. The Americans understood that the key was reversing the position of the Sunni insurgents. So long as they remained at war with the Americans and Shia, there was no possibility of controlling the situation. Moreover, only the Sunnis could cut the legs out from under the foreign jihadists operating in the Sunni community. These jihadists were challenging the traditional leadership of the Sunni community, so turning this community against the jihadists was not difficult. The Sunnis also were terrified that the United States would withdraw, leaving them at the mercy of the Shia. These considerations, along with substantial sums of money given to Sunni tribal elders, caused the Sunnis to do an about-face. This put the Shia on the defensive, since the Sunni alignment with the Americans enabled the Americans to strike at the Shi’ite militias. Petraeus stabilized the situation, but he did not win the war. The war could only be considered won when there was a stable government in Baghdad that actually had the ability to govern Iraq. A government could be formed with people sitting in meetings and talking, but that did not mean that their decisions would have any significance. For that there had to be an Iraqi army to enforce the will of the government and protect the country from its neighbors, particularly Iran (from the American point of view). There also had to be a police force to enforce whatever laws might be made. And from the American perspective, this government did not have to be pro-American (that had long ago disappeared as a viable goal), but it could not be dominated by Iran. Iraq is not ready to deal with the enforcement of the will of the government because it has no government. Once it has a government, it will be a long time before its military and police forces will be able to enforce its will throughout the country. And it will be much longer before it can block Iranian power by itself. As it stands now, there is no government, so the rest doesn’t much matter. The geopolitical problem the Americans face is that, with the United States gone, Iran would be the most powerful conventional power in the Persian Gulf. The historical balance of power had been between Iraq and Iran. The American invasion destroyed the Iraqi army and government, and the United States was unable to recreate either. Part of this had to do with the fact that the Iranians did not want the Americans to succeed. For Iran, a strong Iraq is the geopolitical nightmare. Iran once fought a war with Iraq that cost Iran a million casualties (imagine the United States having more than 4 million casualties), and the foundation of Iranian national strategy is to prevent a repeat of that war by making certain that Iraq becomes a puppet to Iran or, failing that, that it remains weak and divided. At this point, the Iranians do not have the ability to impose a government on Iraq. However, they do have the ability to prevent the formation of a government or to destabilize one that is formed. Iranian intelligence has sufficient allies and resources in Iraq to guarantee the failure of any stabilization attempt that doesn’t please Tehran. There are many who are baffled by Iranian confidence and defiance in the face of American pressure on the nuclear issue. This is the reason for that confidence: should the United States attack Iran’s nuclear facilities, or even if the United States does not attack, Iran holds the key to the success of the American strategy in Iraq. Everything done since 2006 fails if the United States must maintain tens of thousands of troops in Iraq in perpetuity. Should the United States leave, Iran has the capability of forcing a new order not only on Iraq but also on the rest of the Persian Gulf. Should the United States stay, Iran has the ability to prevent the stabilization of Iraq, or even to escalate violence to the point that the Americans are drawn back into combat. The Iranians understand the weakness of America’s position in Iraq, and they are confident that they can use that to influence American policy elsewhere. American and Iraqi officials have publicly said that the reason an Iraqi government has not been formed is Iranian interference. To put it more clearly, there are any number of Shi’ite politicians who are close to Tehran and, for a range of reasons, will take their orders from there. There are not enough of these politicians to create a government, but there are enough to block a government from being formed. Therefore, no government is being formed. With 50,000 US troops still in Iraq, the United States does not yet face a crisis. The current withdrawal milestone is not the measure of the success of the strategy. The threat of a crisis will arise if the United States continues its withdrawal to the point where the Shia feel free to launch a sustained and escalating attack on the Sunnis, possibly supported by Iranian forces, volunteers or covert advisers. At that point, the Iraqi government must be in place, be united and command sufficient forces to control the country and deter Iranian plans. The problem is, as we have seen, that in order to achieve that government there must be Iranian concurrence, and Iran has no reason to want to allow that to happen. Iran has very little to lose by, and a great deal to gain from, continuing the stability the Petraeus strategy provided. The American problem is that a genuine withdrawal from Iraq requires a shift in Iranian policy, and the United States has little to offer Iran to change the policy. From the Iranian point of view, they have the Americans in a difficult position. On the one hand, the Americans are trumpeting the success of the Petraeus plan in Iraq and trying to repeat the success in Afghanistan. On the other hand, the secret is that the Petraeus plan has not yet succeeded in Iraq. Certainly, it ended the major fighting involving the Americans and settled down Sunni-Shi’ite tensions. But it has not taken Iraq anywhere near the end state the original strategy envisioned. Iraq has neither a government nor a functional army – and what is blocking it is Tehran. One impulse of the Americans is to settle with the Iranians militarily. However, Iran is a mountainous country of 70 million, and an invasion is simply not in the cards. Airstrikes are always possible, but as the United States learned over North Vietnam – or from the Battle of Britain or in the bombing of Germany and Japan before the use of nuclear weapons – air campaigns alone don’t usually force nations to capitulate or change their policies. Serbia did give up Kosovo after a three-month air campaign, but we suspect Iran would be a tougher case. In any event, the United States has no appetite for another war while the wars in Iraq and Afghanistan are still under way, let alone a war against Iran in order to extricate itself from Iraq. The impulse to use force against Iran was resisted by president Bush and is now being resisted by President Barack Obama. And even if the Israelis attacked Iran’s nuclear facilities, Iran could still wreak havoc in Iraq. Two strategies follow from this. The first is that the United States will reduce US forces in Iraq somewhat but will not complete the withdrawal until a more distant date (the current Status of Forces Agreement requires all American troops to be withdrawn by the end of 2011). The problems with this strategy are that Iran is not going anywhere, destabilizing Iraq is not costing it much and protecting itself from an Iraqi resurgence is Iran’s highest foreign policy priority. That means that the decision really isn’t whether the United States will delay its withdrawal but whether the United States will permanently base forces in Iraq – and how vulnerable those forces might be to an upsurge in violence, which is an option that Iran retains. Another choice for the United States, as we have discussed previously, is to enter into negotiations with Iran. This is a distasteful choice from the American point of view, but surely not more distasteful than negotiating with Stalin or Mao. At the same time, the Iranians’ price would be high. At the very least, they would want the “Finlandization” of Iraq, similar to the situation where the Soviets had a degree of control over Finland’s government. And it is far from clear that such a situation in Iraq would be sufficient for the Iranians. The United States cannot withdraw completely without some arrangement because that would leave Iran in an extremely powerful position in the region. The Iranian strategy seems to be to make the United States sufficiently uncomfortable to see withdrawal as attractive but not to be so threatening as to deter the withdrawal. As clever as that strategy is, however, it does not hide the fact that Iran would dominate the Persian Gulf region after the withdrawal. Thus, the United States has nothing but unpleasant choices in Iraq. It can stay in perpetuity and remain vulnerable to violence. It can withdraw and hand the region over to Iran. It can go to war with yet another Islamic country. Or it can negotiate with a government that it despises – and which despises it right back. Given all that has been said about the success of the Petraeus strategy, it must be observed that while it broke the cycle of violence and carved out a fragile stability in Iraq, it has not achieved, nor can it alone achieve, the political solution that would end the war. Nor has it precluded a return of violence at some point. The Petraeus strategy has not solved the fundamental reality that has always been the shadow over Iraq: Iran. But that was beyond Petraeus’ task and, for now, beyond American capabilities. That is why the Iranians can afford to be so confident.